Canada officially legalized the recreational use of marijuana. Canada is now the largest country with a legal national marijuana marketplace. Medical marijuana has been legal in Canada since 2001. 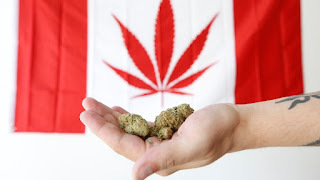 Canada will also pardon all those with convictions for possessing up to 30 grams of marijuana. Adults at least 18 years old will be allowed to carry and share up to 30 grams. They will also be allowed to grow up to 4 plants in their homes and make products for personal use such as edibles.